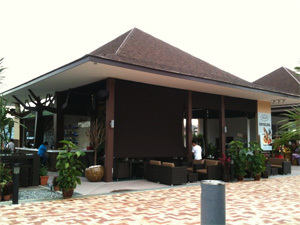 When we shifted into Punggol back in 2003, we felt that the whole place is so nice and�quiet. It was clearly the perfect place for cafes and chill out places. Only after EIGHT years did it really happen. Now we have Popeye’s and also Frienzie Bistro & Bar, soon we’ll have a seafood restaurant and a sports hub. How nice. 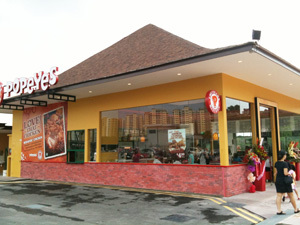 Popeye’s started its business at Punggol on Christmas of 2010 at Punggol East and it was the start of good things to come for us Punggolians. We went there for lunch on the opening day and like any digital native, I checked in on their Foursquare venue and posted the above picture up. Till date which is less then one month since its opening, there is already 837 check-ins with 533 people in total and 18 photos uploaded onto Foursquare. There is also a flurry of foursquare venue’s being added. Clearly some people could not find which was the correct one to check in hence close to 15 were actually created. I manage to merge them together and now, if you want to check in, pls check-in to this one. This place opened just last weekend and the place looks great! I’m looking forward to have my first meal and drink there tomorrow night. They serve Pasta, Pizza’s, etc. I will update this post again tomorrow when I have a closer look at their Menu. On Foursquare, the same thing happened again. People went crazy and started creating quite a few venues. I’ve just sent in a merge request, let’s hope it gets fixed soon and people start checking-in to the right venue. Can I know how to get to the Frienzie Bistro & Bar from Ang Mo Kio? Like buses and directions. I look forward to your reply and Thank you in advance.